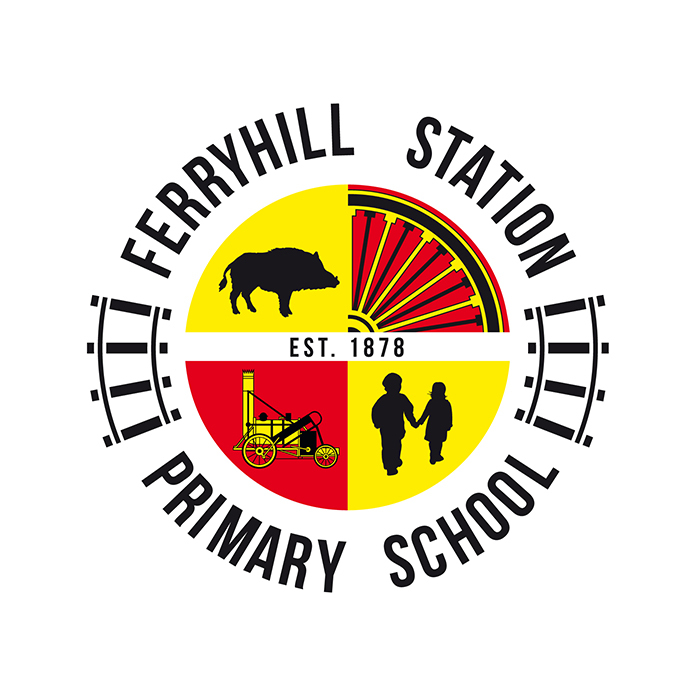 Share the post "Ferryhill Station Primary School"
Having worked with various schools over the last few years, some of my previous work caught the attention of Ferryhill Primary School in County Durham. They asked if I would be responsible for their new school logo, based around a design that the school children had been involved with. A scamp of the logo was sent to me, along with brief outlines of what each segment should look like. 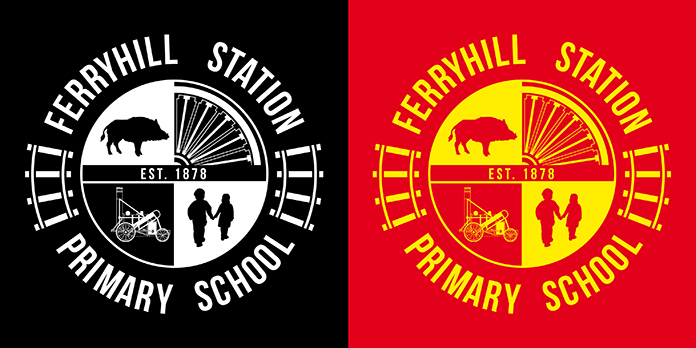 Each segment of the circular logo represents connections with the town of Ferryhill and the school, which has links to mining and the railways in its history. 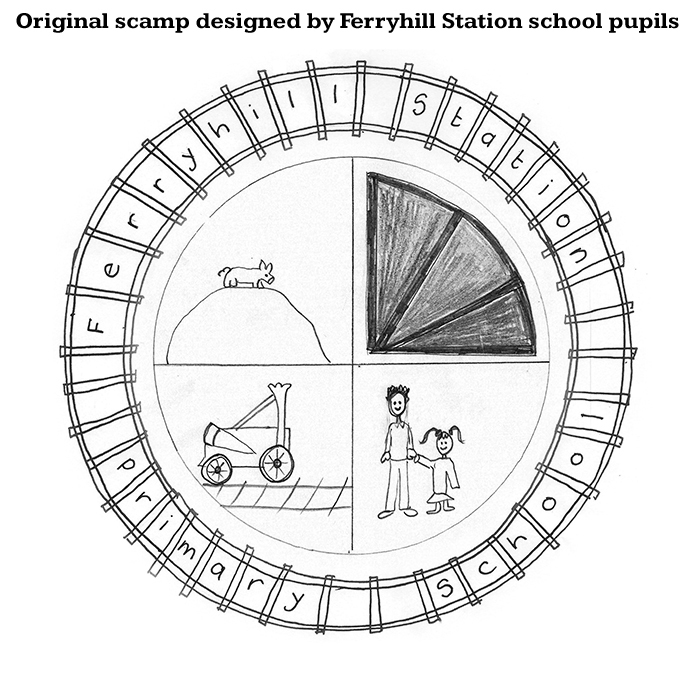 After initial designs were sent to the school, a vote was taken by pupils and parents and here is the final result.